Share 100AUDIO promotion link, get 20% order award. 100Audio has five kinds of price and authorization for every single item. Choose the proper license for your music (personal authorization, business license, unlimited authorization) to meet your project specific needs. The length of music and comprehensive quality will also affect the price of music. For example, when the basic price for a standard license is $50, you can find a shorter length of the same license cost $30 or a longer length of the same license cost $60. NEW 100Audio deposit reward. Get a $24 coupon upon a $80 first time deposit. Deposit more get more. Click here to make a deposit. If you still have questions, you can go to the help page. If you have any questions you can go to our forum to view or ask questions. 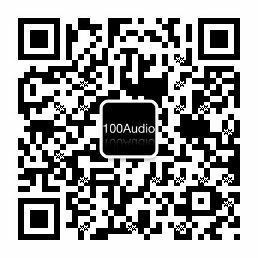 What's the purchase process on 100Audio? pay immediately after download, without waiting! In the Category navigation or Custom Search Page, you can select your desired music according to the music tag. To download the preview file to your local drive, click “Download” on the product detail page. After selecting the desired music, you need to register your account and log in, then pay for the items in the checkout cart; you can use Paypal and Credit Card. After paying the order can be downloaded immediately without the “100Audio” vocal watermark. Instantly use, without any waiting, really ultra high efficiency. Our buyers are from all over the world. Register right now and sell your works to the world! 100Audio is a company dedicated to the creation of audio works and also keen to help creators from all over the world to spread their inspiration. Our philosophy is to optimize the living environment of audio producers through mutual help and to facilitate people who want to buy copyrighted audio.